Spring training by major league teams in sites other than their regular season game sites first became popular in the 1890s and by 1910 was in wide use. Hot Springs, Arkansas, has been called the original "birthplace" of spring training baseball. The location of Hot Springs and the concept of getting the players ready for the upcoming season was the brainchild of Chicago White Stockings (today's Chicago Cubs) team President Albert Spalding and Cap Anson. In 1886, the White Stockings traveled to Hot Springs to prepare for the upcoming season. After holding spring training at the Hot Springs Baseball Grounds, the White Stockings went on to have a successful season and other teams took notice. In subsequent years other teams joined Chicago and began holding spring training in Hot Springs, leading to the first spring training games. The Cleveland Spiders, Detroit Tigers, Pittsburgh Pirates, Cincinnati Reds, Brooklyn Dodgers, and Boston Red Sox followed the White Stockings to Hot Springs. Whittington Field/Ban Johnson Park (1894), Majestic Park (1909), and Fogel Field (1912) were all built in Hot Springs to host Major League teams. 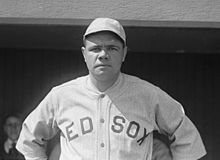 Famously, on St. Patrick's Day, 1918, a young successful pitcher named Babe Ruth of the Boston Red Sox was forced to play an emergency game at first base in a spring training game against Pittsburgh. This game possibly changed the course of baseball history, as it was the first time Ruth had ever played any position other than pitcher. Ruth responded by hitting two home runs that day in Hot Springs, and the second was a 573-foot shot that landed across the street from Whittington Park in a pond of the Arkansas Alligator Farm and Petting Zoo. The Red Sox took notice and soon Ruth was playing the field more often. Over 130 Major League Baseball Hall of Famers, including such names as Ruth, Cy Young, Cap Anson, Honus Wagner, Ty Cobb, Tris Speaker, Walter Johnson, Rogers Hornsby, Mel Ott, Dizzy Dean, Jimmie Foxx, and Stan Musial all trained in Hot Springs Spring Training. The First Boys of Spring is a 2015 documentary about Hot Springs Spring Training. The film was narrated by area native, actor Billy Bob Thornton, and produced by filmmaker Larry Foley. The documentary began airing nationally on the MLB Network in February 2016. Early training sites include the St. Louis Cardinals in Hot Springs and Tulsa, Oklahoma; the New York Yankees in New Orleans and later Phoenix, Arizona, when the team was owned by Del Webb; the Chicago Cubs in Los Angeles when owned by William Wrigley Jr.; the St. Louis Browns and later the Kansas City Athletics in San Diego and then in West Palm Beach, Florida; the Pittsburgh Pirates in Honolulu and other teams joined in by the early 1940s. The Detroit Tigers are credited with being the first team to conduct spring training camp in Arizona. They trained in Phoenix at Riverside Park at Central Avenue and the Salt River in 1929. The Philadelphia Phillies were the first of the current major-league teams to train in Florida, when they spent two weeks in Jacksonville, Florida in 1889. Spring training in Florida began in earnest in 1913, when the Chicago Cubs trained in Tampa and the Cleveland Indians in Pensacola. One year later, two other teams moved to Florida for spring training, the real start of the Grapefruit League. Except for a couple of years during World War II, when travel restrictions prevented teams training south of the Potomac and Ohio rivers, Florida hosted more than half of the spring training teams through 2009. Since 2010, major league teams have been equally divided between Arizona and Florida during spring training, with 15 teams in Florida and 15 teams in Arizona. All but six of the major league teams have gone to spring training in Florida at one time or another. Many of the most famous players in baseball history (Ruth, Gehrig, Musial, Cobb, Mays, DiMaggio, Berra, Mantle, and many more) have called Florida home for 4–6 weeks every spring. Veeck sold the Brewers in 1945 and temporarily retired to a ranch in Tucson, Arizona, but purchased the Cleveland Indians in 1946. Intending to introduce African-American players, Veeck decided to buck tradition and train the Indians in Tucson and convinced the New York Giants to give Phoenix a try. Thus the Cactus League was born. In 1947, Veeck signed Larry Doby to the Indians. Doby was the second African-American to play MLB in the 20th century, and the first in the American League. Arizona had eight teams in the Cactus League in 1989, with the other eighteen in Florida. By 2018, the split was even, with 15 teams training in each location. While Florida and Arizona now host all Major League Baseball teams for spring training, this has not always been the case. Especially in the early 20th century, baseball clubs did not build facilities dedicated to spring training and would use local facilities in various cities, sometimes changing spring training sites on an annual basis. The Cleveland Indians, for example, held spring trainings in seven different cities - including New Orleans, Dallas, and Macon, Georgia - between 1902 and 1922. This was not uncommon at the time. After World War II, some teams trained outside of the United States. The Brooklyn Dodgers trained in Havana, Cuba in 1947 and 1949, and in the Dominican Republic in 1948. The New York Yankees also trained in the early 1950s in Cuba and the Dominican Republic. Spring training camps and games were also held in Hawaii, Puerto Rico, and various cities of northern Mexico, sometimes by visiting major league teams in the 1950s and 1960s. Before and shortly after big league baseball reached the West Coast, a number of teams trained in the state of California or along the state line. The Chicago Cubs trained on Catalina Island in the 1920s, '30s, and '40s. 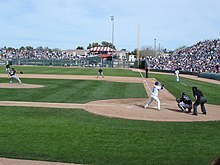 For example, early in their history, the then-California Angels held spring training in Palm Springs, California from 1961 to 1993, the San Diego Padres in Yuma, Arizona from 1969 to 1993, the Oakland Athletics in Las Vegas in the 1970s, and various major league teams had trained in El Centro, Riverside, and San Bernardino. The origin of the name "Grapefruit League" has several versions. One popular myth was that Casey Stengel threw a grapefruit at Brooklyn Dodgers manager Wilbert Robinson. The accepted version is that aviator Ruth Law threw the grapefruit. In 1915, Law had been throwing golf balls from her airplane to advertise a golf course. Someone suggested throwing a baseball from her airplane. Robinson, whose team was in the Daytona Beach area for spring training, agreed to try to catch the baseball. Flying 525 feet above Robinson, Law realized she had forgotten her baseball and threw a grapefruit that she had. When Robinson tried to catch it, the grapefruit exploded in his face, at first leading him to believe he had been seriously injured. 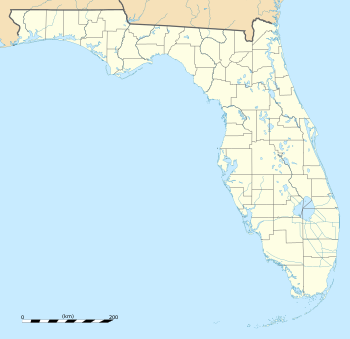 In January 2017, the Braves announced a formal agreement to move their spring training facilities to North Port, Florida; the move is now planned for 2020. The team plans to play one game at their new spring ballpark during spring training in 2019, on March 24. Minor league players participate in spring training following a telescoped schedule that generally lasts from March 1–31. At its conclusion, most players are assigned to full-season Class A, AA, or AAA farm team rosters to begin the regular minor league season. However, those players deemed unready for a full-season campaign—through inexperience or injury—are assigned to "extended spring training", a structured program of workouts, rehabilitation sessions, simulated games, and exhibition games based in the major league parent team's minor league training complex. If a player is deemed ready to participate in full-season league action, he is promoted to an appropriate-level farm club. When the "short season" Class A and rookie leagues begin play in late June, extended spring training players are assigned to those rosters, placed on the injured list (formerly the disabled list), or released. ^ "Martinez, 5 relievers pitch perfect game", Jimmy Golen, the Associated Press, published March 15, 2000, Retrieved February 22, 2007.